130,000 square kilometers of forests are cut down or burned every year - equivalent to 3 times the area of Denmark. This is equal to clearing a football field every 1.4 seconds. The main reasons for the loss of forests are production of timber, making room for farming cattle, soy and palm oil. Clearing forests for palm oil plantations is a growing problem. Palm oil is used to produce bio-fuels and cosmetics. The clearing of forests is a big contributor to global climate change. About 20 percent of the world's greenhouse gas emissions comes from the clearing of tropical forests. In the Amazon, the loss of a critical mass of rain forest could trigger further dieback moving the forest into a vicious circle of self re-inforcing destruction. It is possible to buy forest-friendly products, but it's not always easy tell them apart from those that are not. The Forest Disclosure and the Forest Stewardship Council are working to make it easier. Look for products with their labels!  EEG provides environmental solutions that reduce the environmental impact of business whilst producing economically attractive results and driving social program. Eco-Cycle offers water-saving solutions that increases water use purposes, whilst reducing operating expenditure. Continuously finding new, innovative solutions by providing affordable, valuable and sustainable applications. Eco-cycle offers highly-efficient cooling and heating systems for air and water solutions, tailored for your business applications. Complete end to end lighting solutions that achieve efficiency, cost-saving and overall performance by design. Eco-Cycle offers highly efficient cooling and heating systems for air and water solutions, tailored for your business applications. Through Innovation & Technology Eco-Cycle Provides Environmental Solutions Focused on the ‘Triple Bottom Line’. Producing Results That Remain Economically Attractive whilst Reducing the Environmental Impact of Business, Driving Conservation & Supporting Sustainable Community Programmes – Ultimately Making a Difference in South Africa. Water saving solutions that increase water use purposes. Affordable, available and sustainable applications. Our Solar Power Solutions can decrease your electricity bill by 40%. Complete end to end cost saving lighting solutions. Reduce the environmental impact of business, drive conservation and support sustainable community programmes in South Africa.